Matt Bruce of PETA delivers soy milk, almond milk and vegan ice cream at the Respite Center on Tuesday, July 3, 2018, in McAllen. 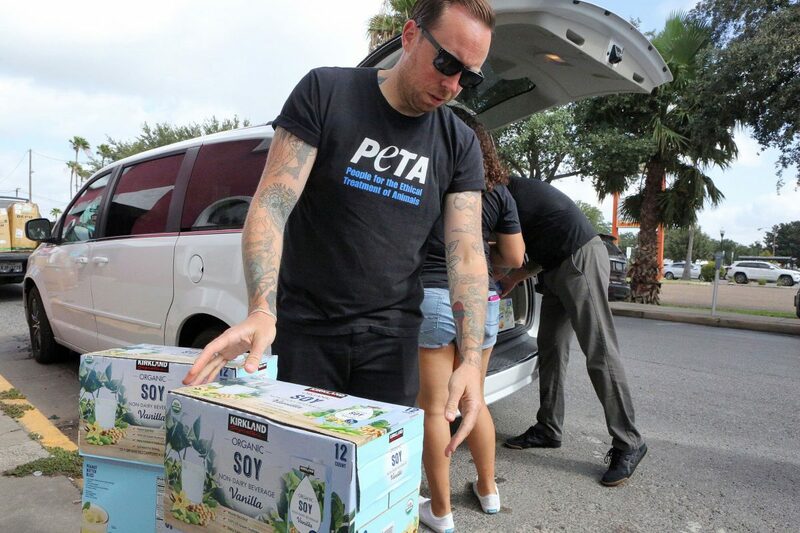 McALLEN — Animal-rights activists with PETA Latino distributed vegan ice cream Tuesday as part of their donation to the Humanitarian Respite Center in McAllen. Earlier, the team carried 60 gallons of soy milk and 150 individual servings of almond milk past recently processed immigrants, down the winding hall housing donations of diapers and clothes for all ages and into a room with stacked water, drinks and other non-perishables. “It breaks my heart when I hear about any families separated,” said Gabriel Ochoa, communication specialist with PETA Latino. “It’s pretty sad to be in front of those families. Children enjoy vegan ice cream as members of PETA deliver soy milk, almond milk and soy ice cream at the Respite Center on Tuesday, July 3, 2018, in McAllen. Ochoa said the group contacted the center and learned they were in need of dairy-free milks. He added that the milk alternatives contain “more calcium than dairy, (are) full of protein and no saturated fat.” PETA said the dairy-free beverages are intended for those with lactose intolerance, who are vegan or sympathetic to the treatment of animals. He called on other entities and individuals to do what they can to support reputable organizations during this crisis of family separations. 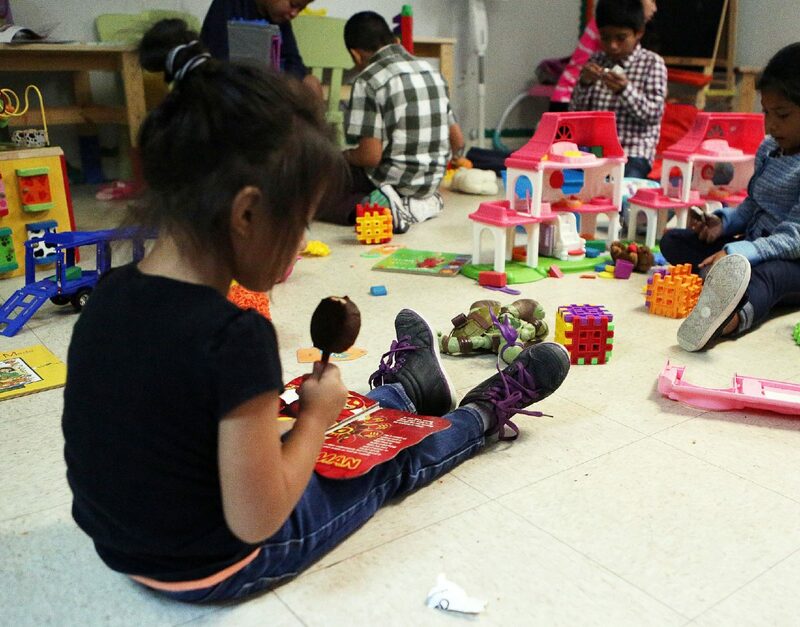 “PETA hopes to help the Humanitarian Respite Center give a bit of relief to families who have made an extremely difficult journey,” PETA Latino Senior Manager Alicia Aguayo said in a news release. Tamarah Tucker, volunteer with PETA Latino, is originally from San Antonio, and lives outside of Houston. She accompanied the group because PETA was looking for activists in the area to assist with the drop off. “Just seeing this makes me want to do more,” Tucker said after delivering the donation. Tucker said she’s wanted to come to the Valley and that this was a particularly important cause for her. Her grandparents immigrated from Mexico. “Hearing that people are trying to find a better life for themselves or having to go through all these extra hardships, I wanted to come down here and help anyway that I could,” she said.